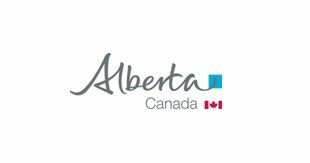 The Canada Eurasia Russia Business Association (CERBA) would like to invite you to the Kazakhstan Canada Business Council Energy Conference to take place on Tuesday September 25, 2018. A trade mission of 14 Canadian companies - KIOGE 2018 exhibitors (the list will be provided shortly) are visiting Almaty from a range of sectors: Oil & Gas, Natural Resources, IT, Logistics and more. The delegation will be headed by his Excellency Nicholas Brousseau, Ambassador Extraordinary and Plenipotentiary of Canada in Kazakhstan, Kyrgyz Republic and Tajikistan (invited). This event will be a unique chance to meet Canadian companies and get acquainted with a range of expertise that they propose to the Kazakh market. SUPPORT OUR CONFERENCE! We are offering an exceptional opportunity to obtain additional visibility for your company by becoming a sponsor of this event!